The strengths of the MMg behind its extraordinary performance. The effective vacuum system leaves the floor dry with no risk of slipping. 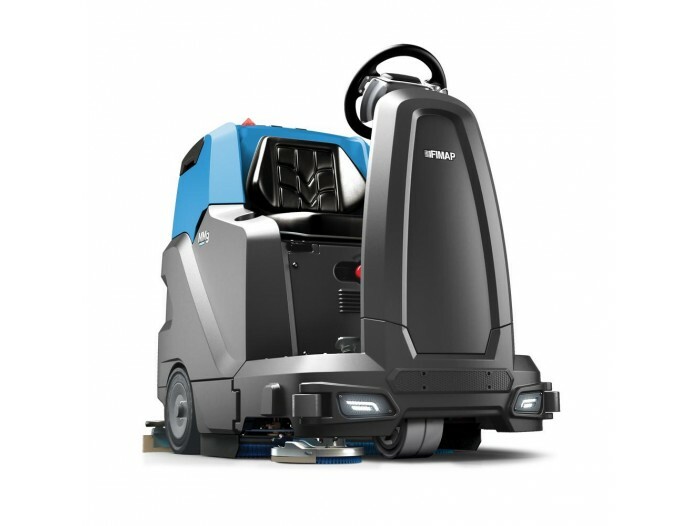 With a brush pressure settable to up to 100 Kg, the machine can tackle even the most stubborn dirt. MMg is capable of climbing ramps up to 18% and smoothly, with no interruption or loss of power delivery. On the road to accident-free cleaning.